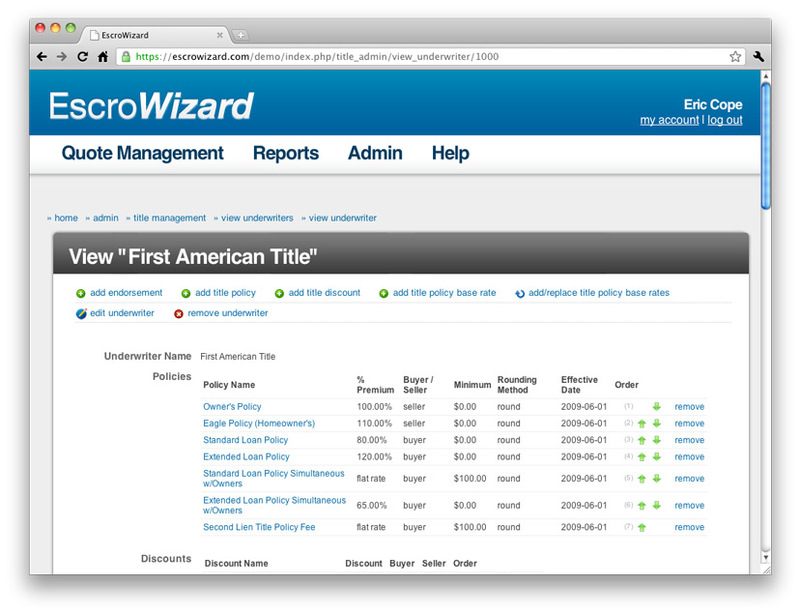 We launched EscroWizard 1.1 today. Most changes were with regards to the Admin Panel. The first major improvement was the ability to order underwriters, title policies, escrow fees, and services as seen below. 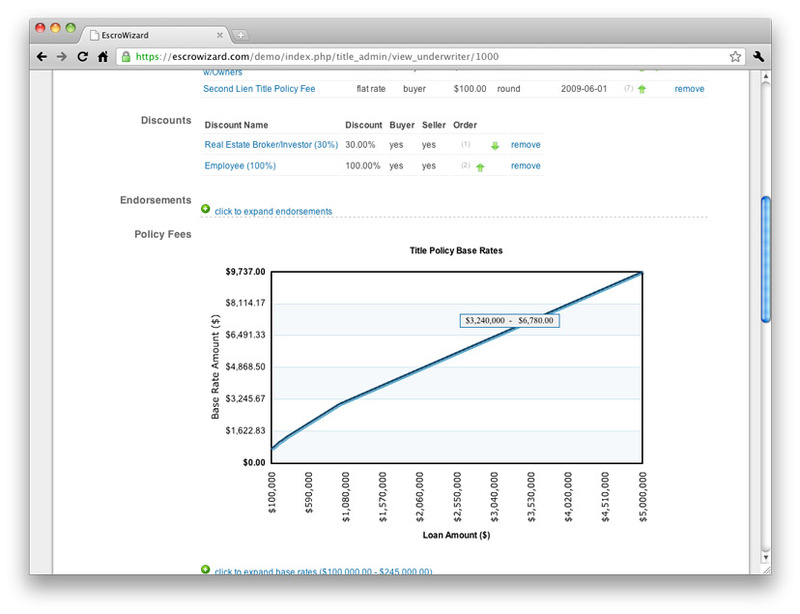 Changing the order of a title policy is as easy as a mouse click. Another exciting change was the addition of rate charts. Both title policy base rates and escrow fee rates are displayed in a chart as seen below to make it quick and easy to spot incorrect rates within your rate tables. 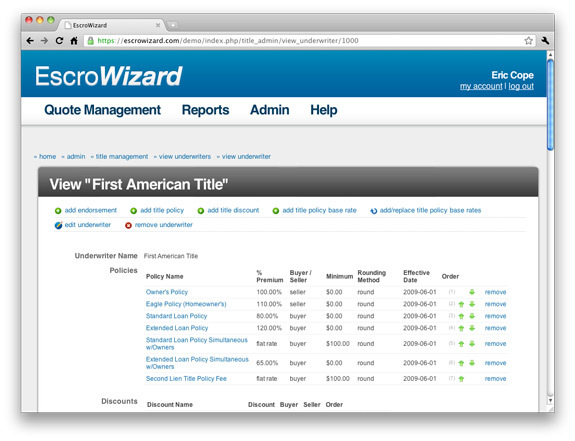 We also made other improvements and bug fixes including some security features making EscroWizard better than ever. The Washington Post has an article regarding lenders sidestepping federal legislation requiring accurate GFE estimates. Many lenders worry their GFEs won’t be accurate and could hinder their business. Why not deliver accurate quotes to your lenders every time? 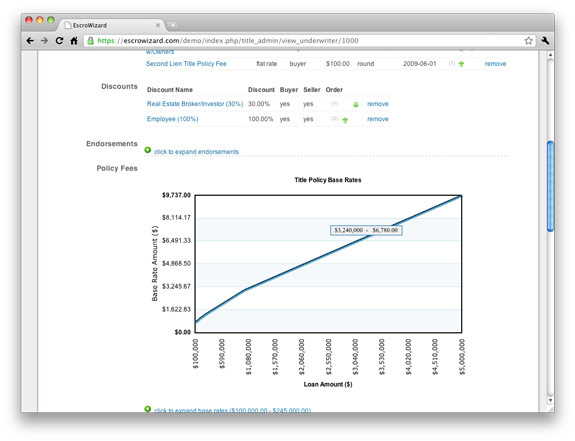 Increase your business by providing accurate quotes quickly to your lenders using EscroWizard. Your lenders will thank you. EscroWizard successfully launched April 9th. I want to thank all of the beta testers for their hard work.